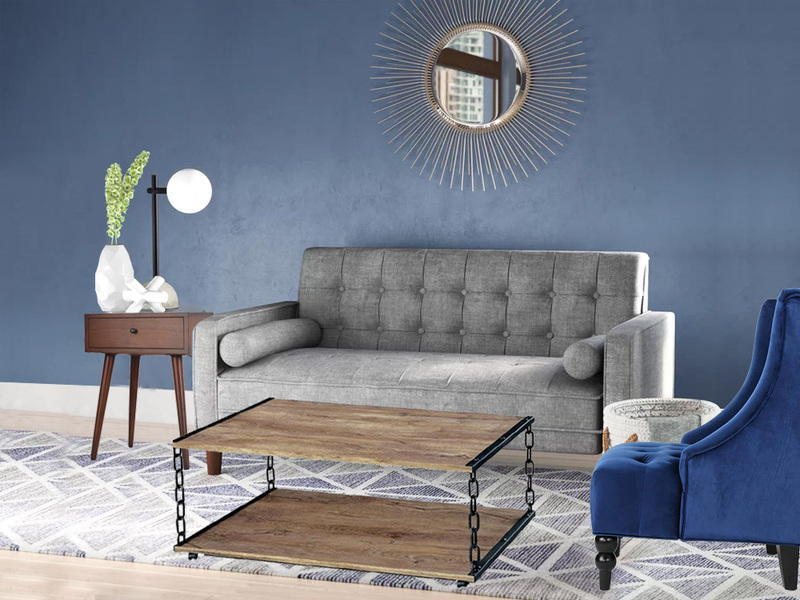 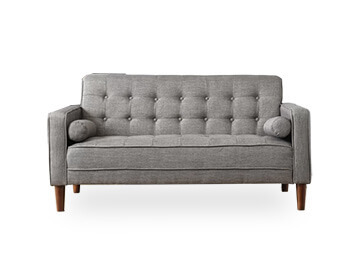 The Joy is a space-conscious and luxurious living room package, mid-century inspired with perfectly crafted pieces such as the Jena Sofa, is a compact sofa with a solid color pattern perfectly designed for your smaller living space. 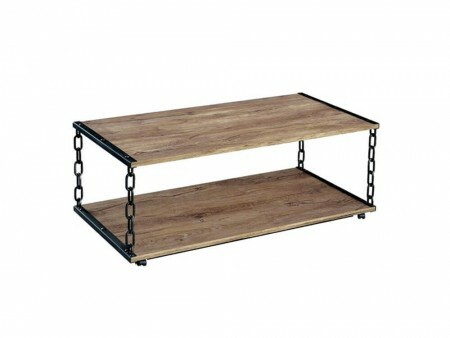 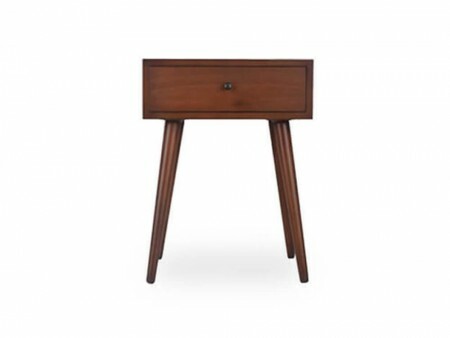 Its tufted detail gives it enormous style and comfort, it also features the London End Table, multi-functional with rich brown wood, one drawer and modern flared legs and the Chain Coffee Table, a best-seller at Inhabitr. 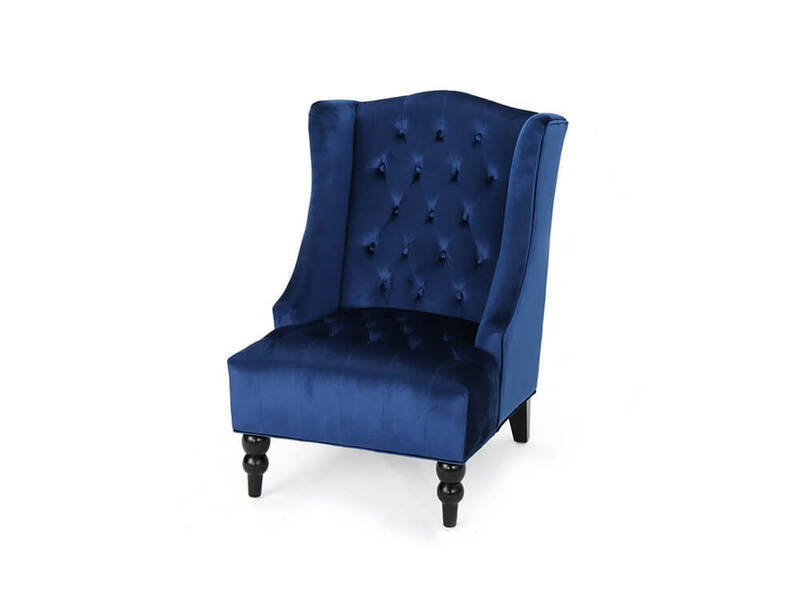 A rectangular wood finish table with metal detail sides.The Joy would not be complete without our Sapphire Accent Chair, velvety navy blue high back and tufted detail. This package is like having a designer in a box, rent it and we will install it for you!